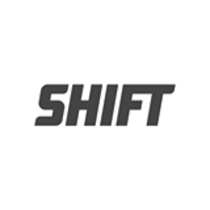 Shift Technologies is a San Francisco-based company re-thinking the experience of car ownership. The company has created a new peer-to-peer marketplace that takes the hassle and guesswork out of buying or selling a car. From getting the car ready for sale to managing inquiries and handling test drives, Shift saves sellers time while helping them to secure the best price for their car. Buyers have access to Shift's fleet of knowledgeable Car Enthusiasts who deliver on-demand test drives and white glove service without pushy sales tactics. Plus, Shift's 150-point inspection and seven-day money back guarantee helps a buyer purchase with confidence.